Sometimes one may have the fortune of being together with the girl/boy of one’s dreams and yet be able to do nothing about it. Maybe work/call of duty could be the villain over here, or perhaps even fate or both. Imagine if you were to go through such a phase yourself and strangely find yourself feeling elated later when fate itself provides you an opportunity to express your love and it’s reciprocated as well. That would feel wonderful is it not? The moments that follow would certainly be nothing less than the sweetest of your dreams and time would assume to have just frozen, even as you and your beloved find yourselves lost in the throngs of love. With all this happening and with things looking too good to be true, what if some dark clouds were to float around the two of you, catching you both completely unaware. Even as you are still settling into this lovely new phase in your life if some doubts were to creep in for no fault of yours and yet casting some aspersions on the relationship, would it not be a major blow? How would one go on to deal with the same in this case? Allied the latest film of popular director Robert Zemeckis, the man behind iconic films like Back to the Future (series) and Forrest Gump has been more in the news for perhaps the wrong reasons. Brad Pitt and Angelina Jolie’s relationship issues and their separation has made fodder for the press worldwide, especially the publications focusing on anything that has do with page 3 personalities. 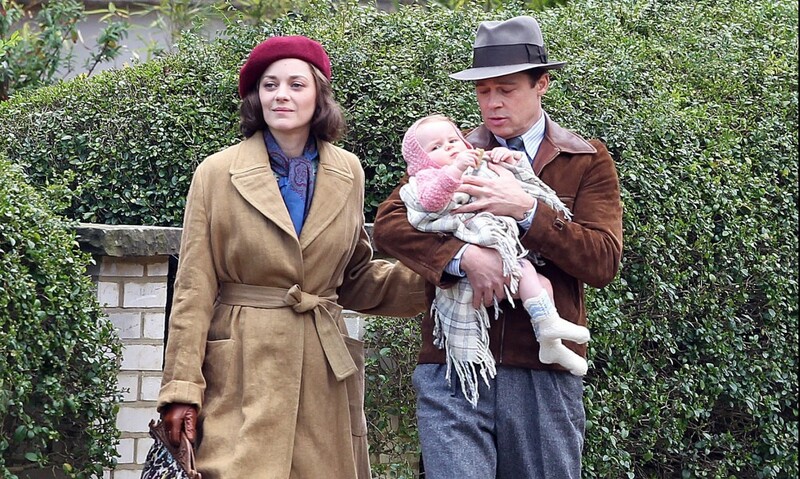 With talks of a rumoured romance between Brad Pitt and Marion Cotillard having germinated while shooting for Allied being spread, followed by denial from the concerned individuals, the film did remain under focus but not really for the reasons it ought to have been ideally. And that’s sad considering the kind of filmography that Robert Zemeckis, Brad Pitt and Marion Cotillard can all boast of. But then nothing much can be done about it right? This weekend finally saw Allied release in India some 6 weeks after the release in the U.S. So is the film another feather in the cap for Robert, Brad and Marion? As the promos and visuals indicated Allied is a film set against the backdrop of World War II and the tale revolves around the romance between Max Vatan (Brad Pitt) and Marianne Beausejour (Marion Cotillard). They first meet in Casablanca, part of French Morocco where Max a Royal Canadian Air Force intelligence officer lands up to assassinate the German Ambassador. He is made to team up with Marianne, a French Resistance fighter who had to escape from Paris after her resistance group was eliminated. As part of the plan they pose as a married couple and gain the confidence of the people around them and manage to secure an invitation to a party where the assassination is planned. Having grown close by then and with the mission turning out to be successful, Max asks Marianne to come with him to London and marry him and thus they get married and settle down at Hampstead. A year later their love for each other only seems to have increased and now they have a daughter called Anna. Just when things seem to be going alright, Max receives a bad news in the form of an update from the Special Operations Executive/Section V of British Intelligence. If the mission in Casablanca had been a matter of life and death for Max and Marianne, it was still not their biggest test and that was to come in only later, at a time when they least expected it. Actually it’s an interesting premise that Zemeckis operates on in case of Allied to start with, after all World War I & II were both known for their tales of espionage, with spies and double agents working across the globe and stirring up enough drama for speculation. Hence a tale of romance between 2 spies, with something running amiss could ideally have turned out to be something pretty interesting. But while the objective might have been earnest, the end result doesn’t really turn out to be as exciting as it could have. The film scores quite well in terms of the technical finesse, with the period look of the 1940’s getting recreated quite well, be it that of the portions in Casablanca or that of London. The costumes, sets, props, the landscape are all well taken care of, transporting you back in time to the period. The visuals are also razor sharp and the cinematography by Don Burgess ensures that the colour palettes utilised suit the look and feel of the period (1940’s) in question. But then the problem with the film lies elsewhere, Allied is meant to be a romantic thriller but it works more as a romantic drama of sorts after a while once the big reveal of sorts is taken care of. And in this case the romance should have been handled in such a fashion where we would relate to the relationship between the lead pair and revel in the ups and downs that they face. Alas that simply does not happen and it’s quite strange considering that both Brad Pitt and Marion Cotillard make a visually pleasing pair on screen and are quite compatible with each other. But then looking good together is one thing and translating it further into a tangible on screen chemistry is something that is totally different. A lot of portion of the film is devoted to the act of setting up the alibi of Max and Marianne in Casablanca, if only some care was also taken to establish the romance a lot more clearly. What makes matters worse is some shoddy butchering by the CBFC especially during the intimate moments between the lead pair, leading to abrupt jump cuts which mar the flow. Also it is difficult to feel the pain that Max goes through when he realizes that Section V is putting his wife Marianne under the scanner, when he is torn between love for his beloved and the call of duty. In a film that is high on romance there is not much of a point when you do not really feel a part of the proceedings and experience the emotion on display. In fact by the time the film is over you actually feel that you have probably ended up watching a Bollywood film with good looking International stars. But for a change I feel that a Bollywood film like Ek Tha Tiger perhaps works better than Allied considering the space that it belongs to. Ultimately Allied ends up as strictly average fare, a film that ideally should been much better. 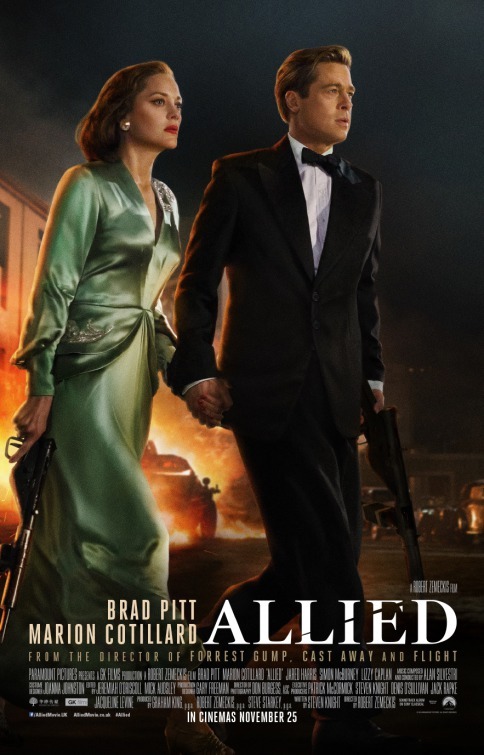 For a film that boasts of names like Robert Zemeckis, Brad Pitt and Marion Cotillard, Allied ends up being a disappointment.